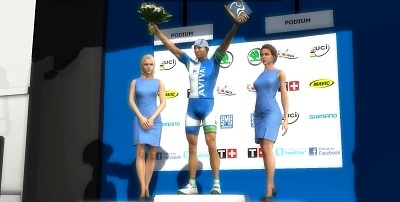 This thread is for team presentation and HQ like posts. You can also discuss team updates right in this thread. Reserve yourself already a main post, which will be linked in the second post. Specialized - Playstation was originally an ICL Continental team founded in 2016 by paying agent Vaast Sports Limited. 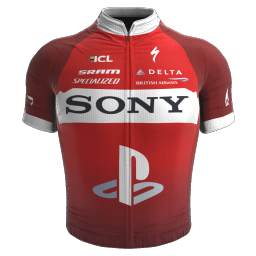 The title sponsors of Specialized and Sony came on board with the project early, both committing themselves to a four-year deal at the time. The first season was a very quiet start, with only a few victories throughout the season, but 2017 saw Specialized World Cycling come to the fore quite often, and with the likes of Jakob Fuglsang and Heinrich Haussler paving the way, the team finished 4th in the Continental Team Rankings at the end of the season. Alexander Wachter and Sam Oomen also scored big successes in the U23 scene with the development team, but with all these successes, there was trouble brewing behind the scenes. Vaast Sports were having serious problems in other areas of their business throughout 2017. 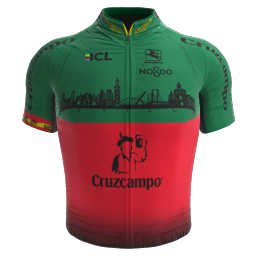 The company tried desperately to keep the team on the road, but by the end of 2017, Vaast Sports were sent into liquidation, and Specialized World Cycling was not to be present for the 2018 campaign. But there was something set in motion by the team's successes. 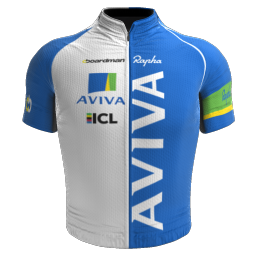 2016 was fairly quiet, but 2017 showed that the organization had the potential to compete in the upper echelons of the Continental peloton, and could possibly have made a bid for promotion in their 2018 campaign which wasn't to be. In March of 2018, Tru Blu came on board and committed to bringing the team back. The investment company is relatively young, but with roots and reknown around the world in various industries, CEO Martin Blockhuis was confident in the prospect of the team's revival. Specialized and Sony both came back, agreeing to sign a one-year deal for the duration of 2019 to fulfill their previous committment to the team, both companies aware of the success of 2017. At the end of the year, however, they are both confirmed to be departing, with Tru Blu intent on taking up the title sponsorship themselves, along with partners who have already signed deals for 2020, though they cannot be named here yet in respect of current contracts. "I remember Specialized - Playstation when they started out," Blockhuis explained when asked how the plan came to be. "I was a recreational cyclist at the time, though I don't really ride anymore. Anyway, I remember SPS as they used to call themselves, well, they sucked in their first season. And I never really followed cycling all that much in 2017, so I didn't know how much things had changed over there. "In early 2018 we started getting involved in some sports endeavours, we sponsor a few triathletes from California, and a division 2 soccer team in Florida, but we wanted to get into something professional, something that could net bigger, worldwide exposure, and something that could be a long and steady project rather than a whimsical flight of fancy. So I thought back about cycling, since I used to cycle and it just came to mind. "We did some research on most of the ICL teams to see where we could step into things, who we wanted to carry our brand, but it was only then that I noticed Specialized World Cycling. The name was a bit different, but with a little reading you could see it was the same organization, a lot of the same staff and some of the same riders, and they had a really phenomenal 2017 campaign. 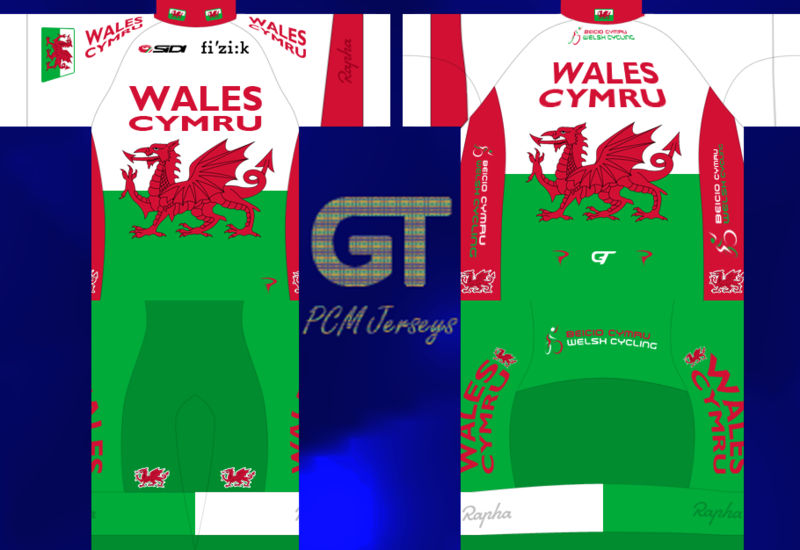 I didn't have to think very long and hard to decide, 'this is the team I want to sponsor, sure they have sponsors in place already, but we can stick ourselves in somewhere probabl-what the team folded?' And so from that point on, we looked into what it would take to resurrect the team, how viable it was, cost-benefit analyses, all that good stuff. 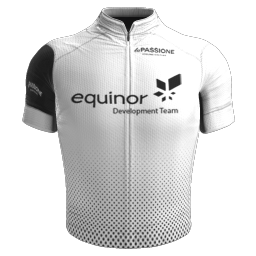 In the end we decided, forget just being an afterthought on the sleeve of a jersey that nobody's gonna notice, we're going to do this, and we're gonna create a cycling brand out of it, and so we got started getting things in place from right then in March." 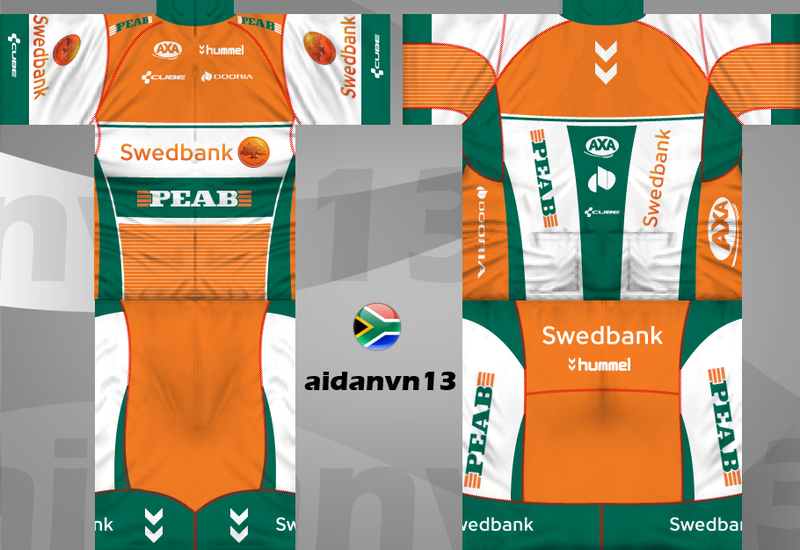 Our team was formed only a year ago, we hired a number of experienced riders to establish ourselves in the CT division. However, the 2018 season proved far more successful than we dared to hope, with 5325 prestige points we placed 3rd in the continental rankings and were promoted to the top division. Wout Poels was our top scorer, but lots of riders added to our tally, our biggest wins were: Paris-Nice (Fuglsang), Rheinland-Pfalz (Valgren), Geant de Provence (Poels) and the GP Montreal (Van der Sande). Sprinter Daniel Schorn also excelled, picking up 7 stages in mass sprints. The promotion meant our team was in desperate need of a top rider and thankfully, we managed to capture Rafal Majka through the steal system, we are extremely pleased to have convinced a rider of such high quality to join our team. At the same time and with a heavy heart we decided to drop our top scorer Poels, we understand the wage he demanded after his incredible season but we need the money to fill up the squad with more riders. Denifl and Minguez also left the team, the other 15 riders will tackle the World Tour with Aviva. During the transfer season we were able to pick up a number of great riders: Geraint Thomas is our new leader for cobblestone races, Romain Hardy will lead the team on hilly terrain. Ruben Fernandez is another good stage racer, so is Fabio Duarte. With Tao Hart and Jonathan Dibben we've picked up two excellent British talents who should already appear on the scoresheet this season. We failed in hiring either of the Yates twins, but were able to reunite the Van Winden brothers. We have also started our own development team, the Aviva Futura Project, a year earlier than originally planned. It's a very weak team for our trial run, led by Garcia and Fritsch. Parking garage for two French car manufacturers. 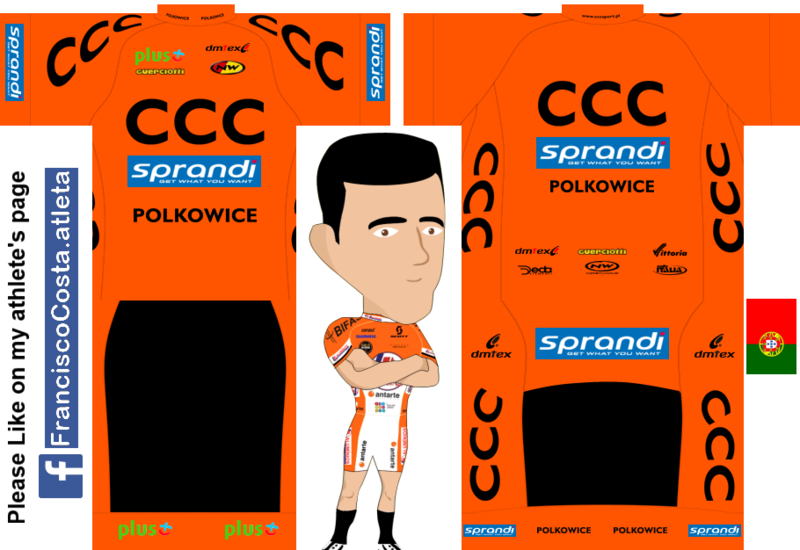 Welcome to the Headquarters of Suntory Lucozade Sport Pro Tour Cycling Team and Suntory Orangina Development Team for the PCM Daily ICL Story Game for 2019 season. Sponsors Suntory are a Japanese brewing and distilling company group. Established in 1899, it is one of the oldest companies in the distribution of alcoholic beverages in Japan, and makes Japanese whisky. Its business has expanded into soft drinks owning Lucozade, Orangina and Ribena. Suntory is headquartered in Osaka. 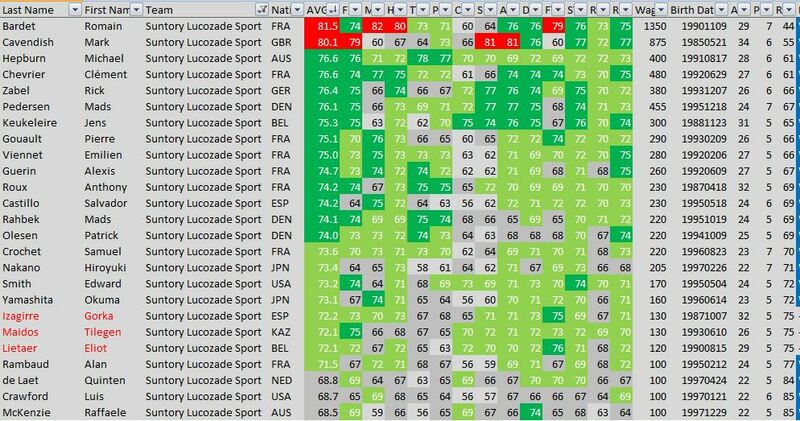 Romain Bardet is a pure climber, his TT has improved greatly so it is now mediocre. Clément Chevrier will target top 10 finishes in stage races. These two will be helped by Pierre Gouault, Salvador Castillo, Emilien Viennet, Alexis Guerin and Okuma Yamashita . We aim to develop future star Samuel Crochet to take over from Jérôme Coppel who has left to join Lufthansa where we hope he will perform well for them. World Class fast man Mark Cavendish will have Mads Pedersen and Rick Zabel to lead him out to get the team some WT wins. We will look to develop David Meyer to take over from Cav as he declines. Former World Champion Michael Hepburn is our top TT man but the loss of Coppel has hurt our TTT team. Jens Keukeleire is our main cobbler so not expecting much at all from the pave. Youngsters Mads Pedersen and Edward Smith will develop in the future. French fast man and future superstar David Meyer is our main recruit this season and we are looking to him to lead our defence of the U23 crown from the 2018 season. He will be supported by Salif Mane and Ricardo Padilla. The climbs will be covered by Jorge Cano Gonzalez & Murjikneli Gochashvili. Romain Bardet has been in the wind tunnel trying to make sure he doesn't get dropped in a TTT like last year. Mads Pedersen will take over from Michael Matthews in hill sprints and has been working on his cobbles technique. Samuel Crochet is looking to fill the gap left by Jérôme Coppel as a stage racer with a decent TT. 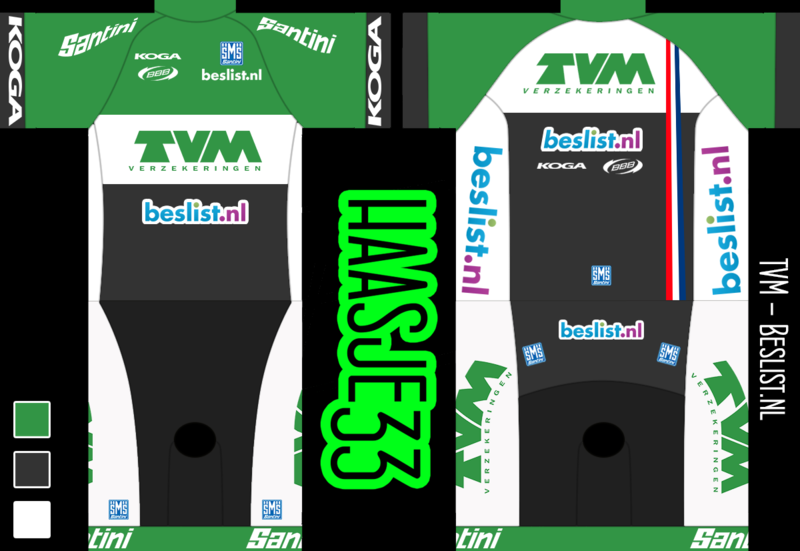 After a solid season in 2018 which saw the team finish 8th in the WT rankings, TVM Cycling Team is back to once again represent Dutch cycling at the highest level of the sport's elite competition, the ICL. "It was the perfect departure from the racing circuit. Winning the National Championships Road Race has been a goal for years and achieving it on my final day as ICL pro is perfect. I knew I had no chance in a direct fight against VisitUkraine so I'm glad they let me join the break and take the fight from there"
"I had three fantastic years with Eurosport/Suntory and the 2015 season was probably the best season in my career but hearing my inner clock ticking i felt that i wanted one more experience before hanging up my helmet and the move to CarbonSports offered me an insight into one of the most succesful teams and was exactly what i wanted to experience at that time"
"I had several nice moments in the peleton but the seventh place in the Olympic Games Time Trial has a special place in my memories"
"The Tour de France is a childhood dream for every young cycling fan and I had not finished a GT yet in my career so it was a real special feeling to arrive on the Champs-Élysées after 21 days of hard work for Alberto. It was an honor to be part of this race." "I have never experienced a cancerous team dynamic like this. 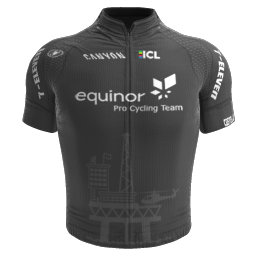 The squad was divided into groups and towards the end of the season it was an open war between the south european climbers and the central european classics team." "I cant see how Alberto [Contador] could want to stay with CarbonSports. He lost the Vuelta due to issues within the team and since the team wont build the team entirely around him due to his age he will probably have to find a new team if he wants to win another grand tour. 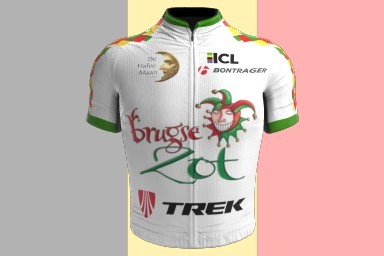 I suspect that several of his closest friends will leave with him and that the team will focus again on classics and the group of promising talents"
Brugse Zot - Trek is a new team based in Brugge, in West-Vlaanderen, where the beer Brugse Zot is brewed from De Halve Maan, the only Brewery survived in the historical center of the city. 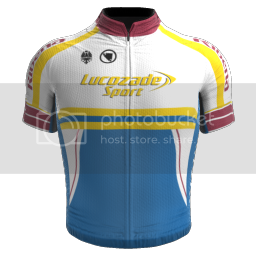 The owner of the team was fascinated by the cycling event that involved Brugge in recent past: De Ronde, and the dream (and why not, the aim) was immediatly to bring back the Trophy, where for many years race started. This project wasn't possible without cooperation of one of the biggest brands among cycling, Trek, that from years winks to Belgium and northern classics. Let's hope this jersey brings us the same luck and victories as the old one!